Shocker Paintball of Loyalhanna, Pa., is recalling about 5,200 Shocker RSX paintball markers/guns. The chamber part assembly can unexpectedly eject from the rear of the marker, posing a risk of impact injury to the user. The firm has received eight reports of main chamber failures. In all cases the chamber assembly was ejected out the rear of the gun with force. No injuries have been reported. This recall involves Shocker RSX paintball markers equipped with a blue main chamber. The Shocker RSX is an electropneumatic paintball marker which utilizes compressed air to fire .68 caliber gelatin encapsulated paintballs. The markers are 8.5 inches tall by 8 inches long (without the barrel). Markers included in this recall have a blue main chamber with three large rectangular cut-outs on the main body and a ring of seven small perpendicular holes in the neck of the chamber. 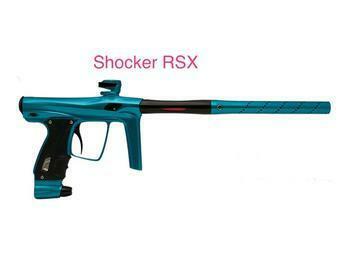 All Shocker RSX markers are subject to this recall. The paintball markers, manufactured in Taiwan, were sold at paintball dealers and distributors nationwide and online at ShockerPaintball.com from May 2015, to August 2016, for between $800 and $1,000. Consumers should immediately stop using the recalled marker and properly dispose of the blue chamber. Consumers can contact Shocker Paintball for a free replacement high-flow chamber or an authorized dealer to have the free replacement high-flow chamber installed at no charge. Consumers may contact Shocker Paintball toll-free at 866-253-2338 from 9 a.m. to 5 p.m. (ET )Monday through Friday, or online at Recall.ShockerPaintball.com.